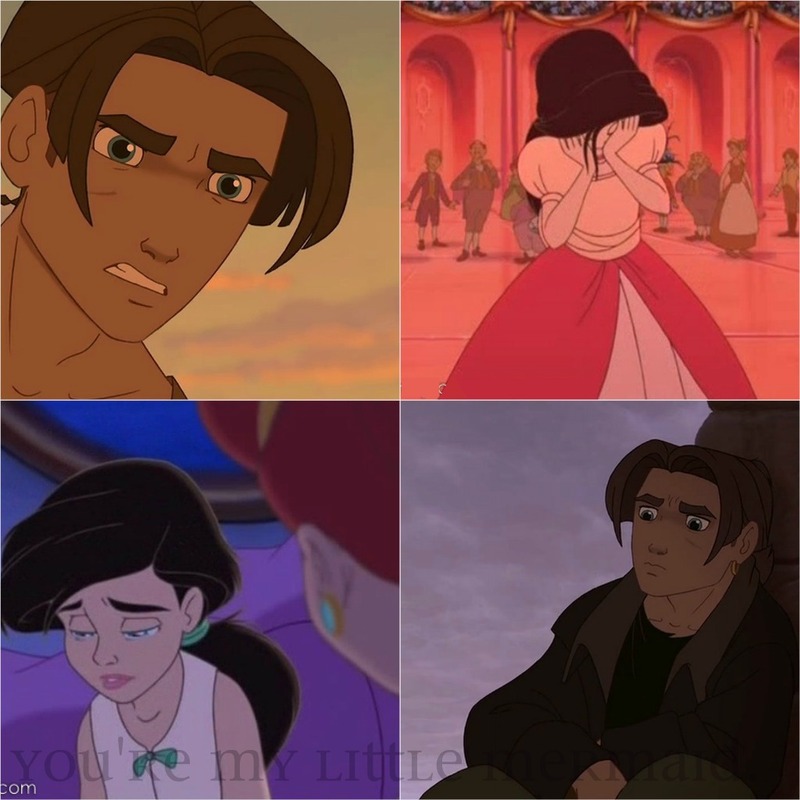 disney crossover Yσυ'яε Му Lιttℓε мєямαιd ღ Снαρтєя 10. After Melody talked with Taran..
Melody; Jim! Jim! I’ve something to tell you! Jim; You should not be here your highness. YOU LIE TO ME! I’M NOT YOUR FRIEND I’M ONLY A TOOL SURE? OR NOTHING! Melody; What are you talking about!? Melody; But. I'll explain everything! Jim; No thanks, I know. Jim; This is my last word. Do not talk to me anymore. Ariel enters into the room. Ariel; oh, my dear, what happened? Ariel; I don’t why are you crying but I want to you know that I’ll be there for you..
Melody; this picture Is me and jim, how beautiful! Ariel; Where did you get this? Melody; Aaah.. I found it. Ariel; Melody. Seriously. Where did you get this? It was that boy taran right!? Melody; The truth it was Jim. Ariel; Melody you know that you cannot be a relation with him. Melody; Why not? You don’t know why! Melody; Why I want to hear you..? Ariel; I can't believe you're naughty, You don't hang out with employees, You don't know how they are!! Melody; How do you know?! You never talking to they! Her mother comes from an understanding perspective yet the poor girl is so undermined, she's frowning with tears. JIM, GO BACK TO HER YOU BAFOON!